Also see Jean tell her story at AIM West in San Francisco in 2013. Lorna Tucker's shocking documentary Ama. 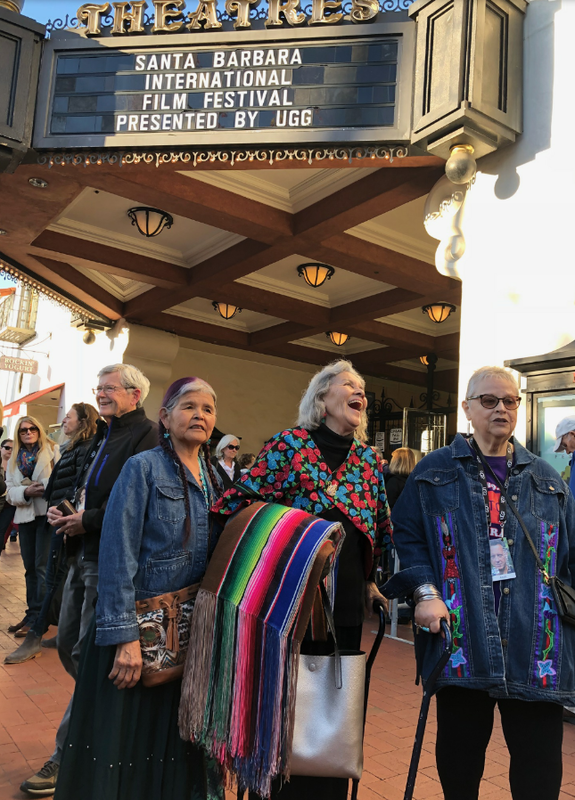 It is framed by Jean Whitehorse, a delightful 67 year old Native American from New Mexico, whom Tucker slowly befriended and gently coaxed into appearing on film to tell how she was sterilised in the 1970s without her consent. A fate that befell tens of thousands of Native Americans as a result of the neo-european policies pursued by US governments in the 1960s and 1970s â policies designed to kill off some of the Native American tribes. All rather harrowing, all repulsive and all utterly unforgiveable. A form of genocide for which the US government has never apologised. For Jean, she went into hospital after an acute appendicitis attack. While undergoing surgery, she was given a tubal ligation (sterilised), leaving her to face a future without any more children (she already had a daughter). A devastating prospect given that she had grown up understanding that wealth was measured by the number of children you had, not by material possessions. As Jean said in a moving post-film discussion after its world premiere at Curzon Soho (December 6): They [the US government] took from us our land, our children, our lifeline. Adding: been trying to get rid of us. While tubal ligation without consent is a crime in its own right, what makes matters worse is that Jean's whole life has been blighted by discrimination. A Navajo Native American, she was sent off to boarding school at age five to fend for herself. A childhood lost where she was known only by a number not her name (which was actually the name of the nurse that delivered her). At age 18, she was sent away again as part of the government's policy to dissipate the tribes in the hope they would fragment for good. In adulthood, post enforced sterilisation, it is no surprise that she took to alcohol to find some form of salvation. 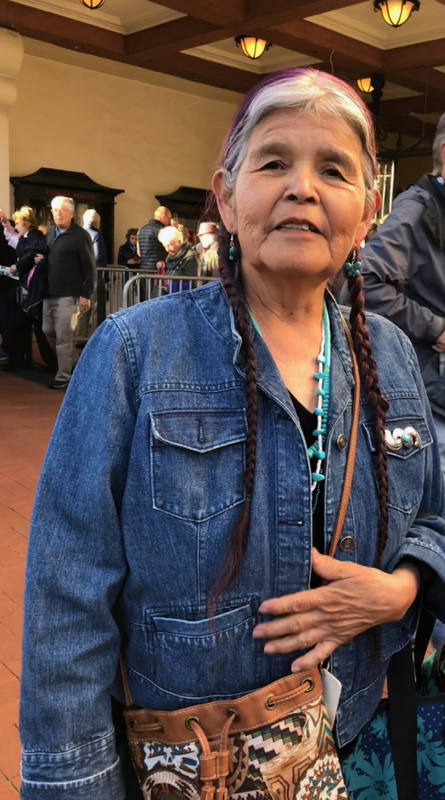 The documentary broadens out to cover the widespread discrimination against Native Americans, arguments put forward forcefully by activist Charon Asetoyer (also present at the premiere screening). Sacred lands trampled over by big corporates in their quest for profits from natural resources. Native American women systematically raped (post-film, Tucker said one in three Native American women are raped during their lifetime). A shocking and shameful statistic. There is archive footage from the Native American occupation of Alcatraz Island in 1969 (Jean returns to the island for the documentary ). There is also film of the harrowing journey the long walk that the Navajo endured in 1864 as they were forcibly relocated to Fort Sumner (an internment camp) in New Mexico, build the barracks (slave labour) and then left to live in mud huts before being resettled again. Ama (Navajo word for mother) is a brilliant piece of investigative journalism by Tucker. The fact that the filming is a little suspect in places (a fact Tucker, making her first film after a career in photography, readily admitted to in the post-film discussion) is neither here nor there. It is the revelatory heart of the beating heart belonging to the dynamo who is Jean Whitehorse that makes Ama essential viewing. The film screened at the Wellcome Foundation in London (December 8, 2018), Lewes, East Sussex (December 13) and again at Curzon Soho (January 31).